Metairie, LA - Four partners from Wagar Richard Kutcher Tygier & Luminais, LLP have been selected for inclusion within Louisiana Super Lawyers® 2016. This includes two of the founding partners of the law firm. 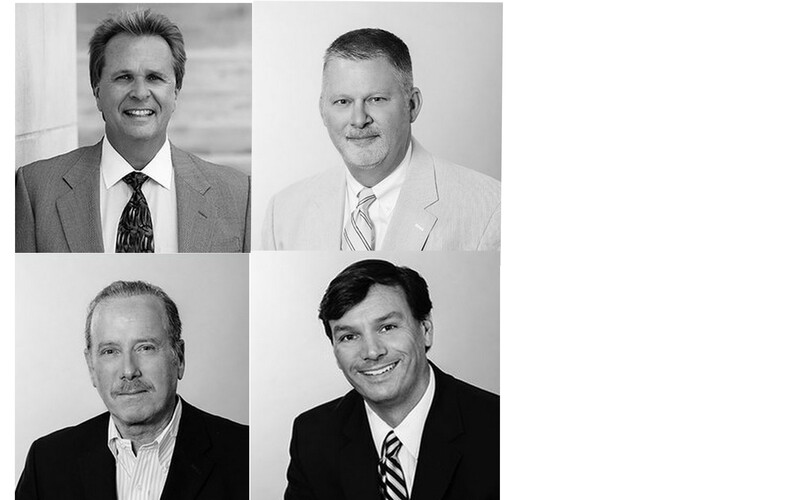 These four distinguished attorneys are Chip Wagar, Robert A. Kutcher, Thomas M. Richard, and Bradley J. Luminais, Jr. This news comes on the 20th anniversary of the law firm, adding yet another landmark achievement in a momentous year for Wagar Richard Kutcher Tygier & Luminais, LLP. Super Lawyers® is a trusted independent rating service that recognizes outstanding attorneys from all over the United States and the United Kingdom. Covering more than 70 areas of practice, attorneys that have been selected for inclusion within Super Lawyers® are highly respected by their peers and have also distinguished themselves through individual professional achievements. A founding partner of the law firm, Chip Wagar has more than three decades of experience in civil trial litigation, handling complicated cases that involve medical malpractice and product liability law. He is a Life Member of the Million Dollar Advocates Forum, the American Board of Trial Advocates and the International Association of Defense Counsel, among other peer invitation only organizations. Mr. Wagar was lead counsel in a major medical malpractice case in January of 2015 that returned an $8 million verdict for a mother who lost her child to swine flu as a result of negligence on the part of a New Orleans pediatric clinic. A founding partner of the law firm, Thomas M. Richard has more than three decades of legal experience, taking a diligent approach to law that is efficient and cost-effective for clients. He has litigated before state and federal courts, including the Louisiana Supreme Court and the United States Fifth Circuit. Mr. Richard has been selected for inclusion within Louisiana Super Lawyers® before and is a member of numerous professional organizations, including the Defense Research Institute, the Counsel on Litigation Management, and the Louisiana Association of Defense Counsel; he also holds the Martindale-Hubbell AV Preeminent Rating. The managing partner of the law firm, Robert A. Kutcher has more than four decades of legal experience as a trial lawyer and a real estate lawyer. His goal has always been making complicated legal matters easier to understand for the sake of his clients as well as judges and juries. He has appeared in state and federal courts around the country as well as the U.S. Supreme Court. Selected for inclusion within Louisiana Super Lawyers® throughout his career, Mr. Kutcher's professional achievements have also be recognized by Best Lawyers in America, Leadership in Law for New Orleans City Business, Martindale-Hubbell AV Preeminent Rating, President’s Award by the Louisiana State Bar Association. He is currently the Treasurer of the Louisiana State Bar Association. About Bradley J. Luminais, Jr. Selected for inclusion within Louisiana Super Lawyers® as a rising star last year and again this year, Bradley J. Luminais, Jr. joined the firm in 2003. An asset upon his arrival, he achieved Senior Associate status in just three years and became a Partner in the law firm in just five years. Mr. Luminais has tried cases at the state and federal level, focusing his practice on trucking defense, insurance defense, personal injury defense, and corporate casualty law. He holds an AV Preeminent Martindale Hubbell rating, a true testament to his drive and professional excellence. To learn more about the experienced attorneys at the law firm, contact Wagar Richard Kutcher Tygier & Luminais, LLP. The firm and members of its legal team can also be reached by using the information below.